The collision occurred on the M7 motorway at 7.40am this morning. 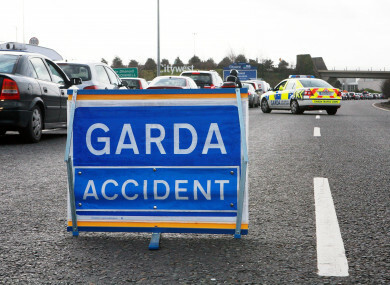 GARDAÍ ARE INVESTIGATING a serious road traffic collision in Tipperary this morning in which a man was seriously injured. The collision occurred on the M7 motorway at 7.40am. The man has been taken to University Hospital Limerick with serious injuries. The road is currently closed from junction 27 Birdhill to junction 26 Nenagh with northbound and local diversions in place. Garda Forensic collision investigators are at the scene and investigations are ongoing. Email “Man seriously injured in M7 road traffic collision”. Feedback on “Man seriously injured in M7 road traffic collision”.